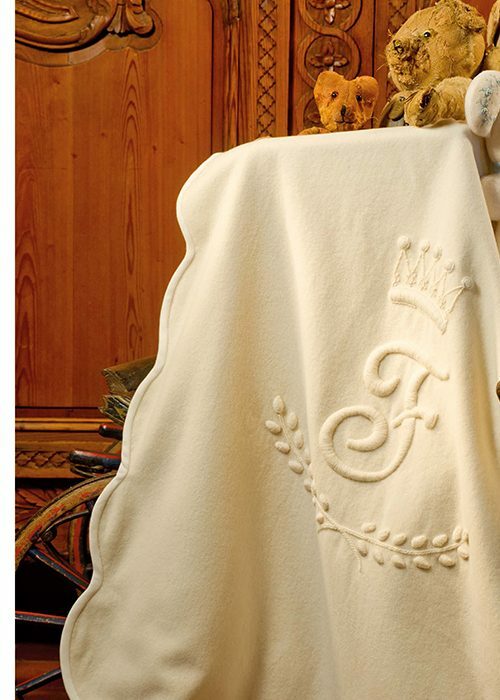 Elegant blanket with high relief monogram. 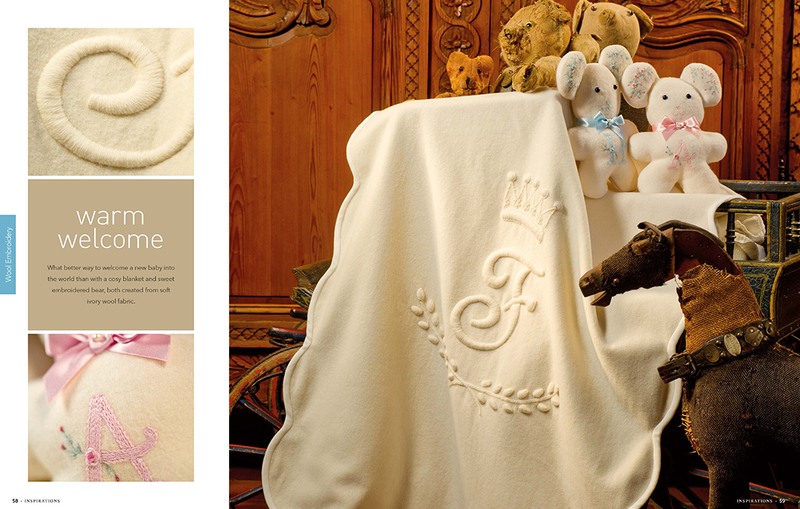 Warm Welcome: The Blanket by Susan O'Connor features soft fabrics and a tone-on-tone colour scheme creating the perfect complement for this elegant, highly padded monogram design. 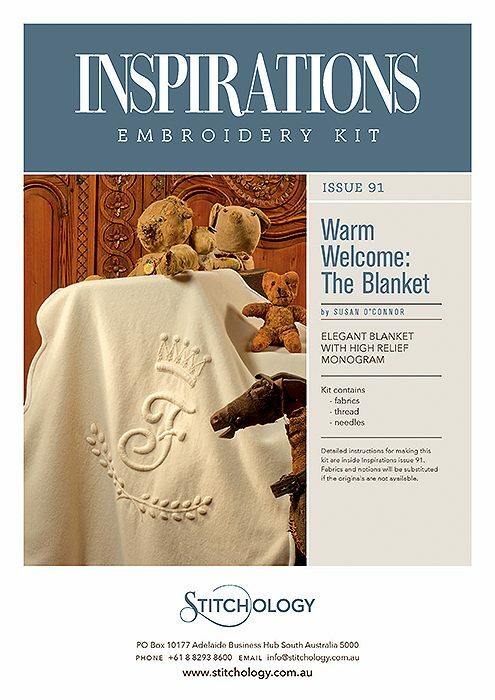 The instructions for this product are available within 'Inspirations Issue 91' and are not included with this product.